This tower building game is fun for all the family. Stack crossed rows of the 54 wooden blocks until you have a tall tower and the fun really begins. Throw the colour dice and remove a block with a matching coloured mark on the end, keeping your fingers crossed that the whole tower won't topple. This classic game is fun for two players or more and is great for family games night, rainy days and classrooms too. 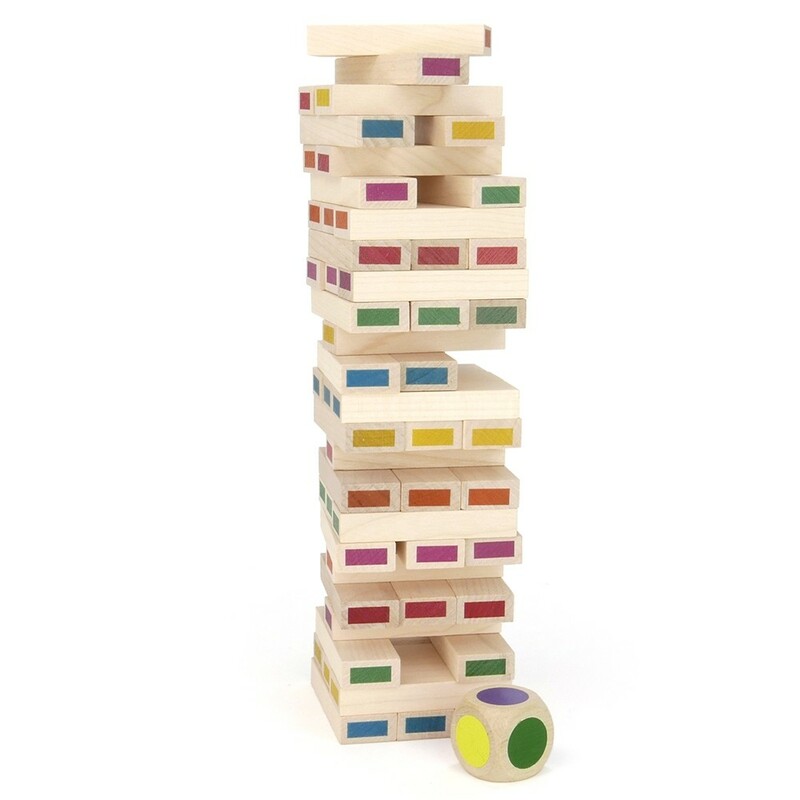 Tower building and the careful removal of pieces will hone dexterity and problem-solving abilities making this traditional game a great way to challenge children's minds and hands as they play. 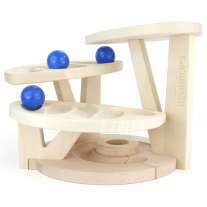 Wooden blocks are so versatile - these pieces can also be used for building houses, creating patterns and as counting aids too. 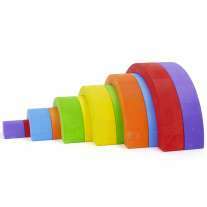 Each Bajenga block measures 8.5cm x 9cm x 1.5cm. This toy is suitable from age 3. Warning: not suitable for children under 3.